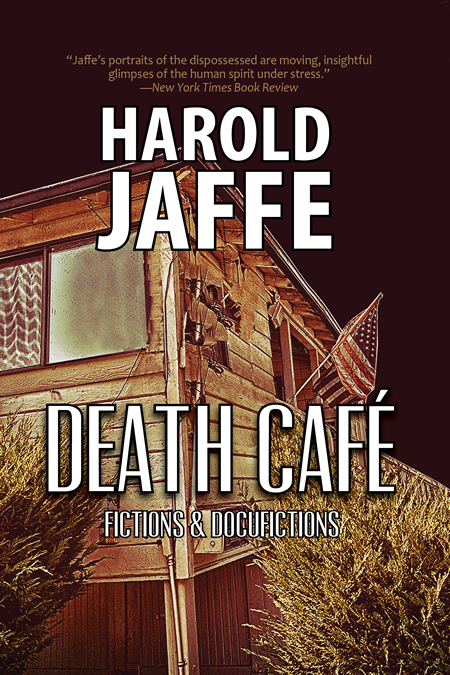 Death Café resumes and refines Harold Jaffe’s ongoing anatomy of the world in pain. Featuring 19 innovative fictions and docufictions set in Africa, Europe, China, India, the Middle East, and the benighted US, the collection addresses issues of global warming, political defiance, committed art-making, dream space, and speculative discourse. As always, Jaffe works his literary voodoo in variable tonalities that are uncannily formulated, displaying unequal doses of razor-edged satire and compassion.